Tangem, a Switzerland-based ‘smart card’ wallet manufacturer will reportedly issue physical banknotes for the Sovereign (SOV), the state digital currency of the Marshall Islands, according to an announcement on Jan. 28. Per the announcement, physical representations of the digital currency will purportedly ensure that citizens have “fair and equal access to their digital currency, whether or not they have internet connection.” The firm states that a physical SOV will be a “controllable mechanism” for issuing the currency by the Marshallese government. Tangem states that each note will contain a blockchain-enabled microprocessor which will “combine the familiar advantages of paper banknotes with the security of blockchain technology.” The firm issued physical representations of digital currency in May 2018, when it produced 10,000 physical Bitcoin (BTC) banknotes of various denominations in a pilot program. 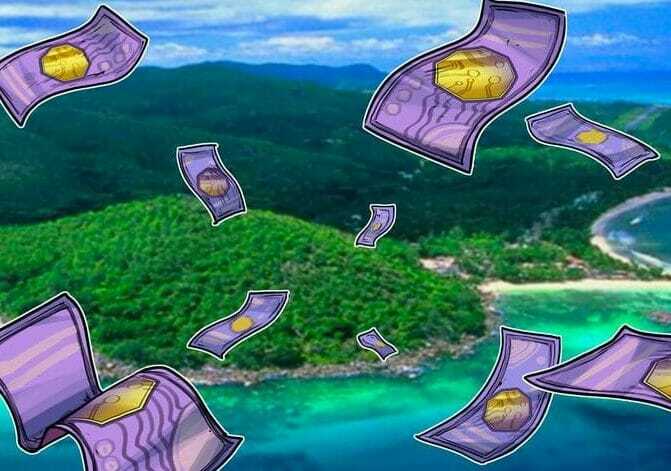 In February 2018, the Republic of the Marshall Islands first announced that it would release its own cryptocurrency complete with an initial coin offering (ICO) and free trading. Two government officials said that once issued, the Sovereign will circulate alongside the nation’s other official currency, the United States dollar. The idea of issuing a national cryptocurrency became a controversial topic within the country and with international organizations like the International Monetary Fund (IMF). In August 2018, the IMF urged the Marshallese government to reconsider issuing the Sovereign, saying that it could pose risks to the country’s financial integrity and relationships with foreign banks. Marshallese President Hilda Heine’s support for the Sovereign led to a vote of no confidence in the country’s parliament, the Nitijela. While the parliament had initially backed the creation of a national digital currency, critics of the president declared that the proposed plan for a state-backed digital currency could harm the country’s reputation.